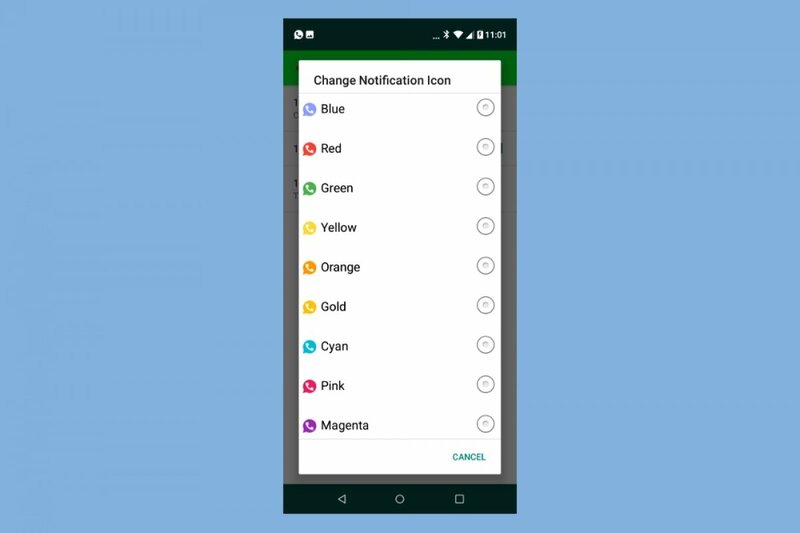 How to change the wallpaper, color or text font in WhatsApp Plus: for such purpose, you only have to go to the application’s themes, which offer you a wide range of wallpapers and visual appearances to be applied to all or individual conversations. We can also modify the fonts or the size and color of the letters. View the status under each name: if we want to see the status of each contact we usually have to go to the list where they all appear. Here, there’s a function to read it straight from the conversation. How to change the profile picture of your WhatsApp contacts: this is another function offered by this app. For such purpose, you only have to the customized options of each contact where you can apply the image of your choice to identify him or her visually. How to hide your connection time and status: you can do this in the ordinary WhatsApp but that involves not being able to see that information about your contacts. However, here, from the privacy options we can hide our own status and connection time but carry on seeing that data about our contacts. How to remove or customize the double blue check: from the privacy options we can decide not to show our contacts when we’ve read their messages without waiving the possibility to find out when they’ve read ours. We can also change the blue check for other symbols such as popcorn, green checks or red dots. These customization functions are added to others included in the app such as new emoticons, the partial copying and forwarding of text, or the download of themes and skins created by the user community. The official WhatsApp messaging and chat app comes along with functions that many of its users consider rather limited. That’s why people think it’s necessary to download and install WhatsApp Plus because it allows them to take customization to the next level.